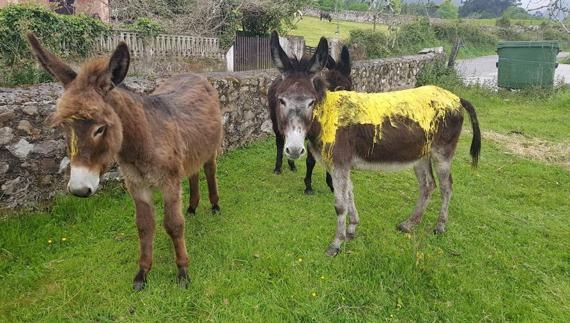 VANDALS have poured yellow paint onto the back of donkey and released it from its enclosure, with its young, in La Pereda de Llanes, in Spain’s Asturias region. They sneaked into the enclosure and poured several litres of plastic paint on the back of four-year-old donkey, Marina, before destroying the enclosure allowing the animal and its two offspring, Guía and Guadalupe, to wander free. The owner of the donkeys was alerted by his neighbours of what had happened and he searched the area until he could locate the animals. “He is a person of great heart and it is terrible to see him so shattered, because he cannot understand who would want to do that to his little donkeys,” said one of the neighbours. Luis Bernardo, a vet with the animal charity Mundo Vivo, was also saddened, as well as angry. He managed to remove about 70% of the paint with a peeling machine. But because it was very stuck in some areas and the operation was painful for the donkey it will be continued later. 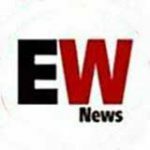 The crime was reported at the offices of the Guardia Civil who are investigating. Now the owner, Raúl, and vet Luis are appealing for the public’s help to try to find the culprit or culprits. “Anyone who has any information can go to the Guardia Civil or to Mundo Vivo, and it will be totally confidential”, they said. ¿Conoces a los?? ?que pintaron esta burrita de amarillo en Llanes #Asturias?